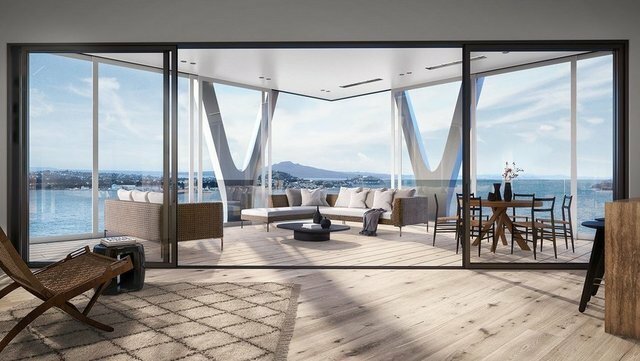 Designed in answer to the high demand for large-scale luxury living spaces, five penthouse dwellings are now available in The International, a property rapidly becoming New Zealand's most iconic premium lifestyle residence. Using the existing structure of the original Grand Hotel facade, Jasmax Architects have created seamless quality in every aspect of this premium offering, which sits elegantly in the heart of Auckland's CBD. The eight beautifully designed penthouse apartments are expansive and exceptionally crafted, with floor areas from 248m2 - 318m2 (approximately). With breath-taking views, three bedrooms, three bathrooms (some include a media room) and two carparks each, the stunning properties also offer ample storage facilities, wine cellars and express lift access for world class luxury at its best. Designed to offer more than just accommodation, The International offers an enviable lifestyle. See the full offering here: theinternational.co.nz . Please phone for an appointment to discuss your options.